Ward’s AutoWorld magazine has been putting up its highly eulogized list of ’10 Best Engines’ since 1994. A few years ago it started with an absolutely new category that was titled ‘Interior of the Year’. In the year 2011 this category got baptized by a new brand marking while it was renamed as ’10 Best Interiors’.This list only allows the best of the best in cabins and cockpit spaces across the world to get into this list after a heavy duty scrutiny of its existing attributes. This year’s list has been very heterogeneous in nature where it went across the sedans, crossovers and hatchbacks to get the one that deserves to be in this prestigious list. 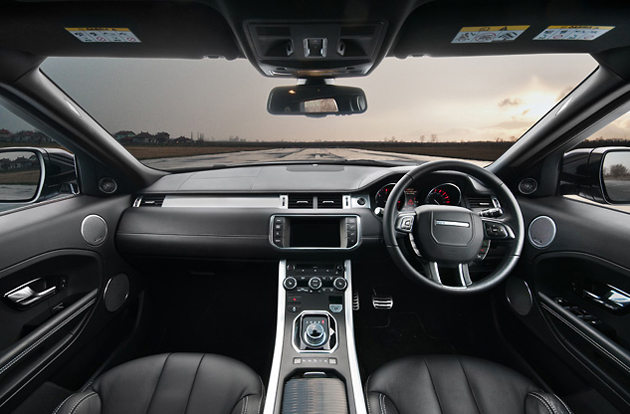 But nevertheless this list has received a mixed kind of reception from the car enthusiasts lately.This year, it was the Range Rover Evoque, which has made it to the top of this list of ’10 Best Interiors’. According to the Auto World magazine from Ward, the decision to make the list accurate through scrutiny of various vehicles, numbering nearly 40 was certainly a tough task. 13 among them were from the category of ultra luxury. As per quoted by the magazine, the formulation of the list included the different attributes like overall value, aesthetics, comfort, material used, finish, ergonomics, styling, design, interface between human-machine and safety. It is to be made very clear that this list doesn’t rank the automobile, but lists just the best interiors of 10 vehicles of the automobile industry, which it thinks are the best.